(1) Locknut & Body: Nickel-plated Brass. 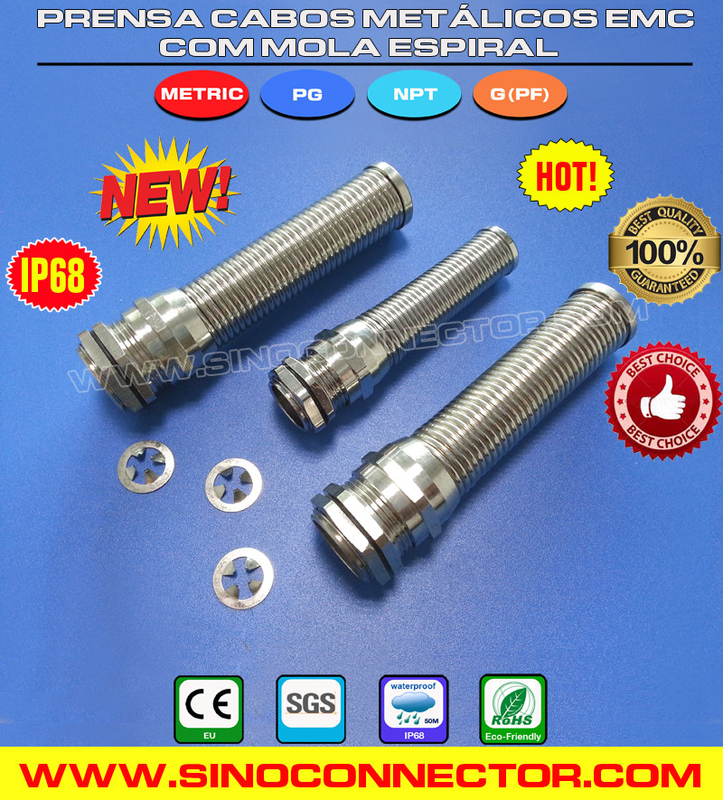 (2) Anti-kink Spring: Stainless Steel 1.4310/ SUS301. 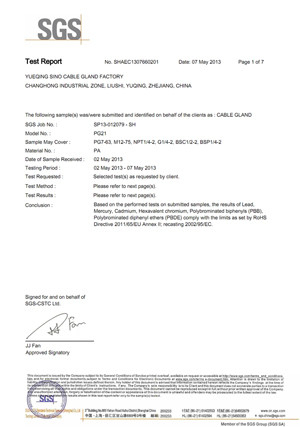 (3) Clamping Claw: UL-approved Polyamide 66 (Nylon 66), 94V-2 (94V-0 is optional). (4) Seal & O-ring: Oil-resistant NBR (available in weather-resistant EPDM, Natural Rubber or Silicone rubber). 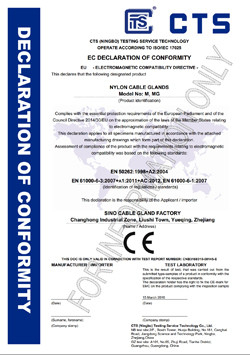 (5) Protection Degree: IP68 (assemble the O-ring within the specific cable range). (6) Operating Temperature Range: Static:-40°c to 100 °c, short-term: 120 °c. Dynamic:-20 °c to 80 °c, short-term:100 °c. (7) Installation: With special design and good tensile strength, cables can be directly inserted into the hole of the same size thread and then fix it with the Locknut. PG7, PG9, PG11, PG13.5, PG16, PG21. M12, M14, M16, M18, M20, M22, M24, M25, M27, M28, M30.